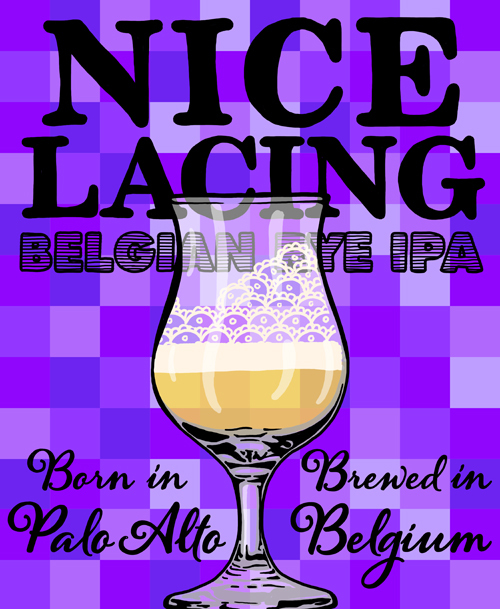 Nice Lacing Belgian Rye IPA is a twist on our Cirta hopped American Rye IPA. We choose the Belgian Westmalle Trappist yeast strain as we know it would complement all the tropical fruit, citrus and floral notes and flavors of the Citra hop variety as well as the slight bit of spiciness from the rye malt. While this is and IPA, the hops are turned down just a bit to let you really enjoy the combination of all the ingredients. Exceptionally smooth with a dry finish this beer pairs well with anything from flavorful proteins to delicate salad. Brewed at De Proef in Belgium.